RE has an important part to play in fulfilling many of the aims of Perton First School and Nursery. We recognise the vital part that RE has to play in the spiritual, moral, social and cultural education of our pupils. 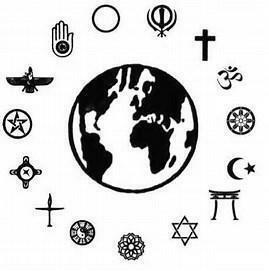 Through RE we teach children about religion and religions and what we can learn from them. We aim to extend their knowledge of different faiths, especially Christianity, Hinduism and Islam, but using examples of other religions where appropriate. We aim to help children understand what it means to be a member of a faith community, leading to tolerance of others. In the context of their own experiences children can reflect on the significance of other faiths and begin to be aware of the larger issues of life such as; where do we come from and who are we? We do not instruct children in any one faith, by learning from religion and religions, pupils learn about the importance of personal relationships and to appreciate the world they live in. Pupils at Perton First School and Nursery are encouraged to have thoughtful attitudes and to be considerate towards others. We encourage links with the local faith communities and other groups in the locality. Members of local Christian churches come into school regularly to lead assemblies and to work with groups or whole classes on specific themes. Children at Perton First School will also have the opportunity to visit the local church and another further afield during their time at the school.